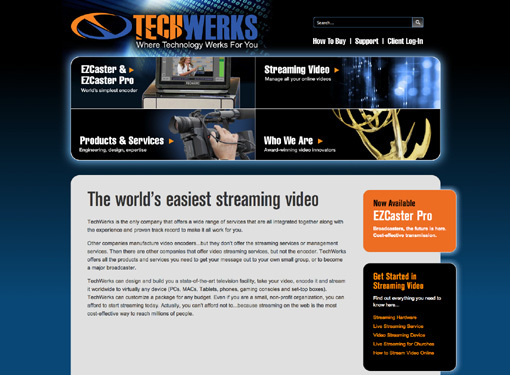 Techwerks is an Asheville company specializing in high-quality streaming video over the Internet. Their innovative solutions are so good they've become the go-to company for small business and private organizations, as well as large industries and governmental organizations such as NATO and the G8 Summit. Techwerks came to MarketDigita needed a thorough revamp of their existing website, both to bring it up-to-date and to give it a user experience equal to the sophistication of their service.